Members of a New York LLC must adopt a written operating agreement before, concurrently, or within 90 days of the filing of its articles of organization. The operating agreement is the primary document establishing the rights, powers, and obligations of members of an LLC. It is prudent to engage Long Island business lawyers to draft the operating agreement, as it is a legally enforceable document. New York law establishes default provisions for the management of an LLC. For example, managers of an LLC will have authority to make ordinary business decisions (such as entering into contracts) which are binding on the LLC. 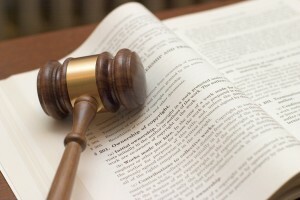 Extraordinary business decisions (such as obtaining financing for the LLC or permitting a new member to join the LLC) must be formally authorized by the managers, with some extraordinary decisions obtainable through majority vote of the managers, and others necessitating approval by its members. While these mechanisms are the default, your operating agreement can alter these provisions and establish your own rules for the LLC’s management and operation. The New York business law attorneys at Hiller PC can assist you in determining what is appropriate for your LLC, ensuring that your operating agreement is consistent with those goals. Common issues your Long Island business lawyers will address in your operating agreement are whether or not to require annual member meetings. Do you wish your LLC to establish a board of managers? Do you want certain members or managers to have veto powers, or be responsible for specific functions within the organization? Your operating agreement can require that certain decisions must be made by a vote of the members and/or you can require that some decisions will require a super majority or unanimous approval. Moreover, while the law states that members’ voting power is proportional to their rights to profit, your operating agreement can provide for disproportionate voting power. Call the Long Island business lawyers at Hiller PC to discuss these issues and any others to ensure that your operating agreement accurately and appropriately addresses matters relevant to your LLC. METROPOLITAN MUSEUM “SETTLEMENT”? NOT SO FAST!